(NaturalNews) Conventional information outlets -- the corporate-controlled media, government and medical institutions -- have no interest whatsoever in teaching you knowledge and skills that can save your life, keep you out of hospitals and even reverse serious disease. That wisdom comes entirely from independent content producers who have become the new media of the world by serving the interests of the People. As the corporate-controlled mainstream media continues a collapse of its credibility and readership, grassroots-powered independent content producers are experiencing an explosion of interest in their online summits. These are free events that feature amazing speakers who share invaluable wisdom on a particular topic. Right now, four of these events are either under way or about to launch, and each of these four can empower you with a wealth of lifesaving (and life-changing) knowledge you simply won't find anywhere else. Each of these summits offers FREE registration and participation, with the option of purchasing the entire set of recordings if you want them. Because participation is 100% free, you can learn a wealth of truly lifesaving information from these summits without spending a dime. 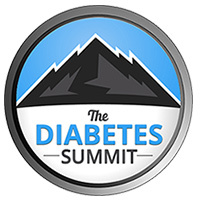 The Diabetes Summit can quite literally teach you how to halt type-2 diabetes by changing the daily choices you make about food, exercise, nutrition, sleep, stress and more. This is the course the American Diabetes Association probably hopes you never find out about, because if every person diagnosed with diabetes learned this information, the disease would be eradicated. While the lying medical establishment claims to be "searching for a cure" -- code words for hoping you'll give them money to create more patented synthetic prescription drugs that they sell back to you at profiteering prices -- the real cure for diabetes is already here. And it's described by these diabetes experts in the Diabetes Summit Click here to register now (FREE). The Truth About Cancer Summit for 2015 features all-new interviews of the world's most renowned complementary medicine doctors and cancer treatment specialists, delivering the most up-to-date knowledge on cancer prevention, cancer treatment options and how some cancers can be reversed through the body's innate healing mechanisms. Treating cancer with anything that actually works has been entirely outlawed in the United States, where "healing has become a crime," say independent observers. The conventional cancer industry isn't interested in curing the disease; it's interested in profiting from its continuation. But it turns out that cancer can be readily prevented with simple, safe lifestyle choices and targeted nutrients that activate your body's natural anti-cancer healing potential. Even your own DNA is programmed to beat cancer, not to die from it. How do you activate your inner blueprint for healing? It's all covered in this free summit. In The Truth About Cancer, you'll hear from the world's best-informed cancer doctors and cancer experts about how to save your own life from a "disease" that has already been largely solved. We already know how to prevent, treat and even reverse most cancers (but not all of them). Not you can expand your knowledge (and your options) by tuning in to the very people who are at the forefront of this quest for wellness and longevity. Learn what your cancer doctor was never taught (and therefore can't tell you). You might just save your own life. Click here to register (FREE). Think you know the truth about vaccines? The mainstream media refuses to report any real facts about vaccines, such as the fact that vaccines work best on the very people who don't need them (because they have strong immune systems to begin with). The media won't tell you the truth about how flu shots contain 1,000 times higher concentrations of mercury (50,000 ppb) than the arsenic recently found in California wines (50 ppb). In the Vaccine World Summit, you'll have instant access to exclusive, mind-blowing interviews with five top doctors who know the real truth about vaccines... knowledge the mainstream media absolutely refuses to acknowledge or report. Many of these interviews reveal information that has never before been made public. This information can protect your health and even help save lives. Even if you choose to be vaccinated on a limited basis, this knowledge can help protect you and limit your risk! This is knowledge every person needs to know before they even consider getting vaccinated. Inform yourself so you can make a better decision about your health! Remember: when it comes to vaccines, there is no UNDO function. 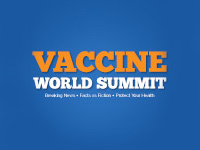 Click here to register for the World Vaccine Summit (FREE). Of all the summits here, I have to admit this summit is the most fascinating to me personally. As you know, I'm the developer of the Food Rising Mini-Farm Grow System that's all the rage right now among food production enthusiasts. We donated 250 of these grow systems to schools and churches all across America, and we're starting to hear amazing stories about how excited people are to grow their own food. But how, exactly, can you really achieve food self-reliance with limited time and a limited budget? The Homegrown Food Summit provides invaluable answers to that question, delivering a powerhouse of food production knowledge and practical solutions you can use almost immediately. It's hosted by Marjory Wildcraft, my favorite food self-reliance expert who has helped teach thousands of people how to produce their own food at home. My interview in this Homegrown Food Summit is really one of the best interviews I've done in a very long time. 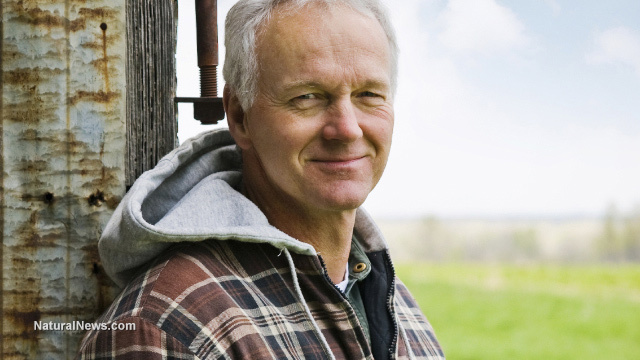 It's called "8 Reasons You Are Insane If You Aren't Growing Some Of Your Own Food." Don't miss this interview! Don't miss this one! Click here to register now for the Homegrown Food Summit (FREE). As you know very well by now, knowledge is power. The more you know about preventing disease, healing your own body, avoiding toxic medical interventions and growing your own food, the stronger person you become at every level: physically, emotionally, ethically and spiritually. In a world where the systems of corporate collusion and control hope to keep you weak, diseased, ignorant and medically dependent, knowledge empowers you to be an intelligent, self-reliant, courageous person who makes a positive different in an uncertain world. The knowledge offered in these summits, after all, isn't just about helping yourself. It's also knowledge that you can use to help save the lives of other people by expanding their awareness with new options and solutions.